Hykolity pendant led ceiling lights are rich in modern design styles which will make your space elegant. It is a great way to make a room look wider or longer and since the shape of the fixture lies along a single plane. The led Linear suspended Lighting is guaranteed to provide you better, and healthier lighting than conventional fluorescent light. Factory, Workshops, Equipment room and Industrial workstation etc. Main product: LED Tubes, LED shop lights, LED wall pack, LED flood lights, LED Yard Lights, LED High Bay Light, LED Canopy, LED Panel etc. 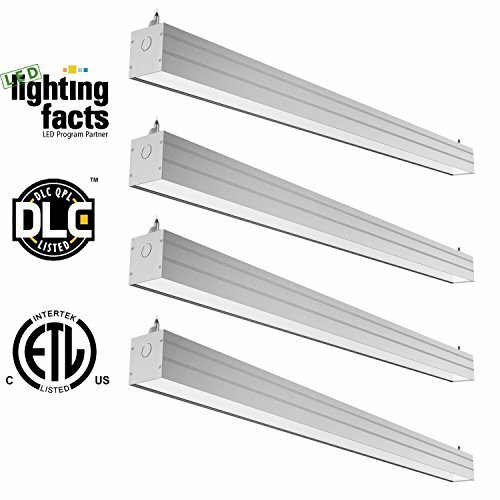 ✔ Super Bright - This LED Ceiling Linear Light provides 4600 Lumens at 5000K Daylight White. That is a staggering LED Efficiency of 115 lm/w! ✔ Easy Installation - This LED Ceiling Liner Light can be surface mounted or it can be chain-hanged.